There are lots of great free antivirus programs available for Windows. But which is the best free antivirus software? In this article, we will take a look at our top two recommendations. First, what makes a good antivirus? The key function of an antivirus is to prevent, detect and remove malicious software. Antivirus software was originally designed to detect and remove known computer viruses. But just as viruses have evolved over the years, so has antivirus software. In fact, malware and spyware now accounts for the majority of infections on a users’ system. Hence, modern antivirus software is designed to protect from malicious browser helper objects to keyloggers, backdoors, hijackers, spyware and other malicious software. What makes some antivirus software better than others? Good antivirus software should not only protect you from the most common and serious threats, it should do so transparently and without impeding the use of your computer the way it was intended. This key statement is how we evaluated our best free antivirus software. In fact, even with paid options out there, we still recommend this software to anyone who asks. So let’s take a look at what makes them the best. Avast! says it protects nearly 400 million people worldwide and for good reason. 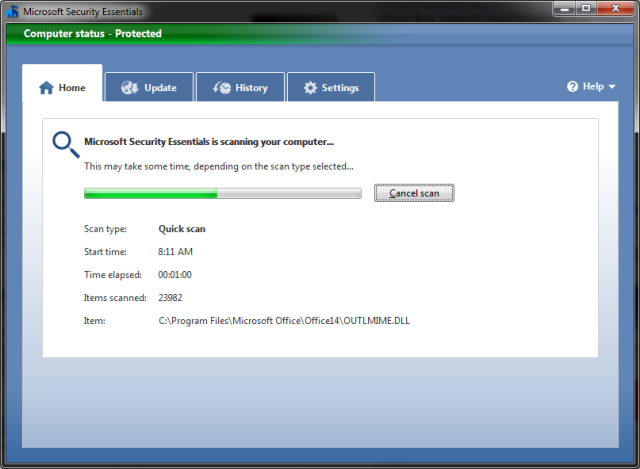 It’s one of the best but also least resource intensive free antivirus’ available on the market. But don’t think that free means skimping on key features. In fact, Avast includes all the typical features you would expect and also an “Intelligent antivirus” that monitors your PC for the fingerprints of anything suspicious including malware, spyware, ransomware, and phishing attacks. We’ll forgive you if Microsoft isn’t the first name that comes to mind when you think of antivirus software but Security Essentials has to be one of the best tools its released in years. It provides real-time protection against spyware, viruses, rootkits with an online system for scanning and cleaning. It will compare the signatures on your device to known threats and it’s not heavy on the memory.